My boss found this trifle recipe online. I used it as a guide. Unlike last year when I made vanilla custard from scratch, I decided to make the sauce using custard powder to lessen the amount of task I had to do. ( I worked alone until someone showed up and offered to help). The jelly was also made with jelly powdered mix. How convenient was that? Fresh strawberries and blueberries are hard to find and when you do find them, they cost a lot. 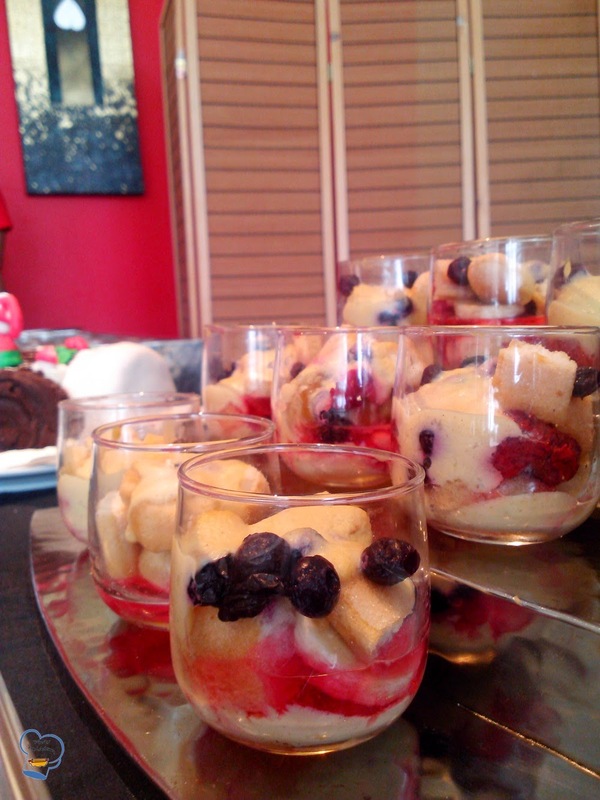 So for this recipe, I used frozen strawberries and blueberries but fresh bananas because they are readily available in this part of the world. While I arrange the glasses on the table, someone came and asked me if I needed help. Finally! It was less than two hours before Christmas brunch opened. 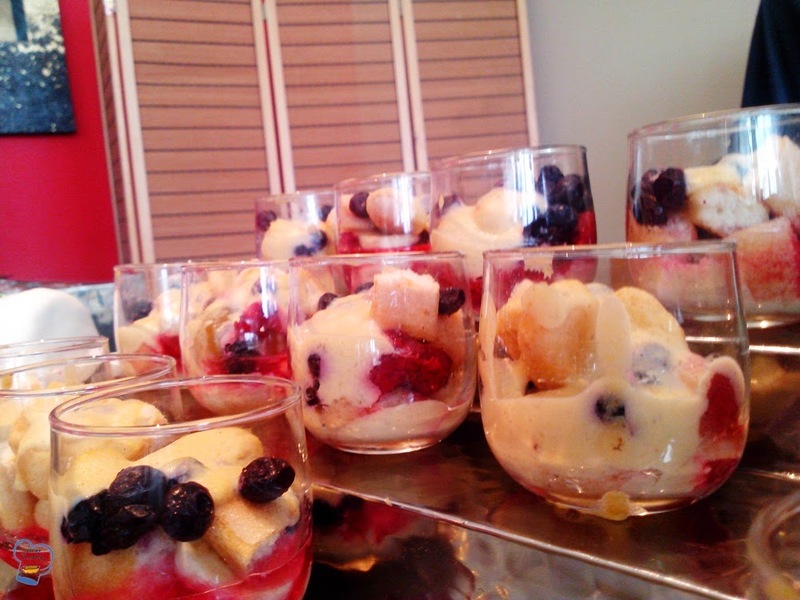 I laid out the lady finger sponge, added the fruits and the assistant poured the custard. I showed her what to do and she took over for me while I made the chocolate mousse. It was crazy. 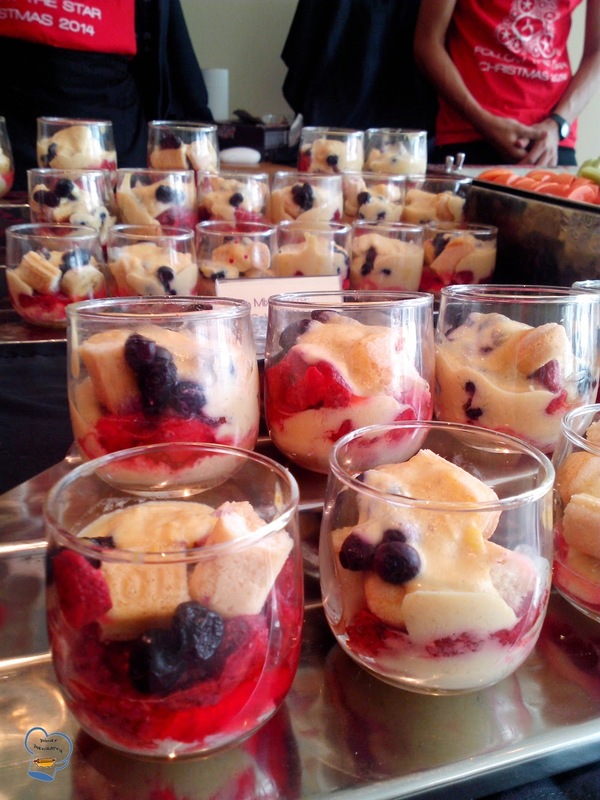 We barely finished in time to have all the trifles ready for brunch. It may not be beautiful but it was so good.